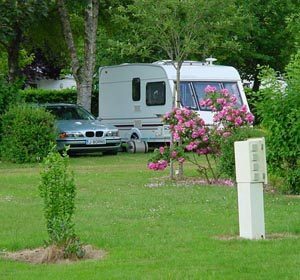 The Campsite of Domaine de l’Orangerie de Lanniron invites you to discover its pitches in the heart of the 38 hectare domain. 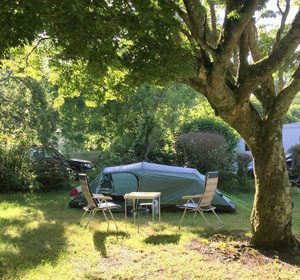 It’s an invitation to enjoy a peaceful stay, in a natural and wild setting near the Odet river, in Quimper. In family or with friends: it’s an opportunity to be together while enjoying bright and spacious pitches. 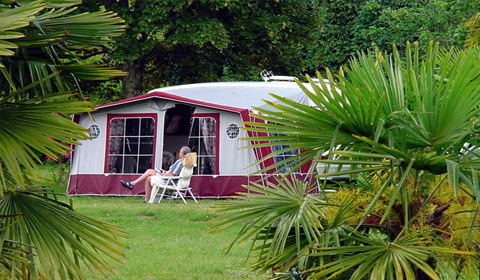 Our pitches are between 80m² and 160 m², surrounded by flowering shrubs so that everyone maintains their intimacy. 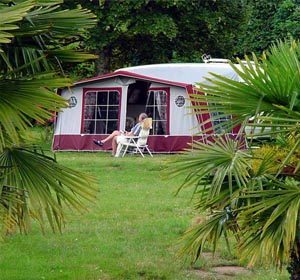 They are perfect for adventurous campers who sleep in tents or travellers who prefer the comfort of a caravan or a camper. Electrical connections (10 amperes) as well as connections for water and evacuation of wastewater are provided for our campers. 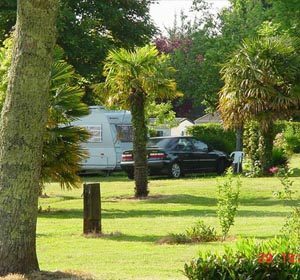 The campsite also has a terminal for campers available free of charge for clients of the campsite and for a paid fee for other campers. 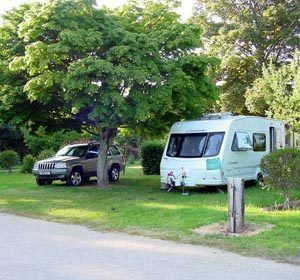 Wifi is accessible throughout the campsite (with charge).